If you have recently made a decision to follow Jesus here is a list of videos and reading plans to help you get started! Reading the Bible can seem daunting. In this video series, learn how everything fits into the big picture so you can read the Bible like never before. Are you just beginning in a new faith in Jesus Christ? Do you want to know more about Christianity but aren't sure what—or how—to ask? Then start here. 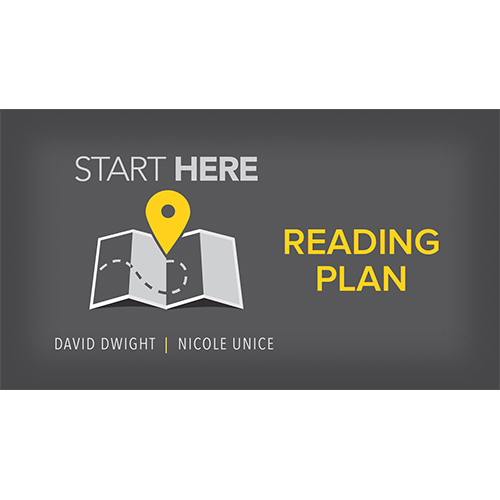 Taken from the book "Start Here" by David Dwight and Nicole Unice.